I was experiencing pain in my knees and back of ankles for last few days, which is why my doctor wanted to check my creatinine levels. Because I am diabetic and I am having intense pain in the left side of my lower back down to my leg my creatinine level was checked and it is 1.35. I have kidney disease so my creatinine levels are checked regularly. My creatinine levels have been steady at 40 but now down to 36. Because I have liver cirrhosis, my doctor wants my creatinine levels checked. My story begins about 12 years ago, I was having extreme abdominal pain so I went to the doctor. I found out that I have chronic pancreatitis, which brought on diabetes, so I was prescribed metformin. While taking the metformin and ibuprofen. My kidneys started to lose function. So now I'm in kidney failure. My creatinine level too has gone up to four, and as of last month my kidneys were working at 23 percent. I'm now looking at dialysis. Your site has been a real benefit thanks. My creatinine level is 1.73 and urea is 43. I am continuously taking care about it with regular tests. I have high blood pressure around 130 to 140 but sometimes it becomes 150. My health care professional wanted to check my creatinine levels because I am a Crohn's disease patient and have blockages. My doctor wanted to check my creatinine levels because he wants to do an MRI with and without contrast on my back. My doctor wanted to check my creatinine levels to check if spironolactone is increasing my creatinine levels. I am a 65 year old male, who was diagnosed with prostate cancer about 2 years ago. My creatinine level, at my last blood test, was 1.4. Normal range .7 to 1.25. My creatinine ratio is 11, the normal ratio is 6 to 22. My healthcare professional wanted to check my creatinine levels because I had excessive perspiration, any season, temperature, altitude, etc. My healthcare professional wanted to check my creatinine levels because of my symptoms of thirst, frequent urination, salty taste, weight loss. I had been sick for a long time and had every test in the books. My creatinine level is 1.36. I got fed up and changed doctors. My new doctor checked my creatinine test results and found the high levels recorded back in 2015. Thank goodness he did. My old doctor was asleep at the wheel. I am being instructed to drink enough water so I can urinate every two hours, and I will be retested in two months. My healthcare professional wanted to check my creatinine levels because I had frequent urination. I am a 55 year old female. I had irritable bowel syndrome (IBS) for several years. I believe that IBS is a name that doctors use when they are not sure what the cause of constant IBS is. What I found out just recently after 10 or so years and many doctors is that an antibiotic was the cause of mine. I had what is called Clostridium difficile Infection. This is when the good and bad bacteria in your colon is interrupted, caused by antibiotics. Please be checked for this I had it a long time before I was diagnosed. I'm absolutely fine now and can eat anything I want, I just had my gallbladder out a year ago and I am fine. I am 69 years-old. I recently had two blood tests taken a couple of weeks apart that showed that my creatinine levels were above the normal maximum level for males of my age. My doctor told me to discontinue taking fenofibrate and take another blood test in a month. Meanwhile, I just had a bladder and renal ultrasound done and everything was normal. I am a gym rat and it is my guess that my muscle mass and workout contribute to the higher creatinine level. My health care professional wanted to check my creatinine levels to check the condition of the kidney, lower the creatine level in blood means the kidney is functioning better. I had cancer of the ureter. It killed my kidney. So I have one kidney. Which is why my creatinine level was checked. My creatinine level just got higher. And I wonder how to lower it. I had a slight ankle and pedal edema in my left leg. So I saw the doctor and he asked me to check my creatinine level. My serum creatinine is 0.83mg/dl, urine creatinine is 85mg/dl and urine protein is 20mg/dl and protein creatinine ratio is 0.2:1. I"m checked regular because of my lung transplant. I take immunosuppressants. My last creatinine level was 2.1 and Prograf was 11.5. My doctor wanted to test my creatinine levels because I am obese and diabetic for 18 years, type 2. Blood pressure runs at 145/86 4 hours after medicines, but often 185/99 before. Blood creatinine was 73 umol/L giving EGFR 74, 5 months later was 98, giving GFR 52. I was worried, but 3 weeks later it was back to previous test. My blood test shows urea (serum) 21 and creatinine (serum) 0.6. I had a severe fever with extra severe cold frequently and after two or three months regularly with fatigue, and my physician suggested this test. I have Crohn's disease and was on TPN (total parenteral nutrition) for 9 months. I came off of it in July and since then I have been craving salty foods/drinks. My monthly blood tests for creatinine levels have ranged from 166 to 154 to 148 can't get it lower than that. I have been referred to a renal doctor now. My healthcare professional wanted to check my creatinine levels prior scheduled MRI with gadolinium. I wonder if a creatinine level of 2.2 is very much. I'm currently taking spironolactone 25 mg every day. Last summer while in the hospital I contracted C. difficile. My kidney function was poor and they said I may need dialysis. Later the doctor told me my function returned to normal. My lab work was ordered on my first appointment with a primary care doctor. My creatinine level is 1.17. I am a 69 year old female. I have chronic pain from two back and 1 neck surgeries. My blood pressure is high. It could be from the pain, as it is normally excellent. I had my kidney transplant done and take tacrolimus. My creatinine is at 11.5 in 8 months. My body is working with one kidney. My doctor checked my creatinine levels to monitor the kidney function. I am 25 years old and today I checked my serum creatinine. Result was 1.23 mg. My father died few days ago due to kidney failure. I have patches on skin and swollen legs, so my healthcare professional wanted to check my creatinine levels. After my annual checkup with my doctor I received my report indicating that my creatinine level was 0.90 H.
About one year ago after taking 500 mg of naproxen twice a day for several years for arthritis, my ankles began to swell daily. When I had a physical, my lab tests showed an elevated level of creatinine. My doctor said it was from the naproxen and took me off it. Now I'm unable to take any anti-inflammatory medicines for arthritis. My 82 year old father had a CT scan with contrast. His creatinine level is 1.6. Lab tests were done on 10/29 and repeated on 10/31. The results are unchanged. He has a neo bladder as a result of cancer 10 years ago. My husband"s creatinine level was 189.0. They did the 24 hour urine test recently. He has had prostate cancer and kidney cancer in the last two years. They removed 1/2 of the kidney. This high number alarms me. It was a required test to quality for long term care insurance. Mine was high, but I still qualified for the insurance. I had problems of urinary infection and also enlarged prostate. My blood pressure with some medication is 110/70, Pulse 60 and weight 83 Kg. My blood test showed urea 52 creatinine 1.4 NA 14 K 5.6 CA 10 P 2.8. It indicates higher levels of Creatinine and K.
I recently received the results of urine testing that indicated my creatinine levels were elevated beyond the normal range. My doctor said it's probably associated with my BP meds and since the elevation was around 3% above the upper level, I would have to look at increasing my exercising and weight loss to aid in eliminating my BP meds. I don't have any symptoms and drink 12-16 ounces of water 5-6 times a day. Some people will fall out of the normal range simply due to their biological makeup and types of medications they are on. I am allegedly infected with rheumatoid and osteoarthritis. During the past two years a doctor has prescribed medicine to reduce the associated pain which at times is significant. During this period our family doctor has noticed a rise in Creatinine up to and exceeding the prescribed range. The culprit in this case was suspected to be the arthritis anti pain medication. It was not used for the next two weeks during which time the pain level rose and the Creatinine level fell which was demonstrated by lab studies. Following that period, a different arthritis anti pain medication was used for the next three weeks. The creatinine level rose again while the pain level fell again as demonstrated by lab studies. This same exercise was continued with three other arthritis anti pain medication with the same results. I am now without benefit of any arthritis anti pain medication enduring significant pain while the Creatinine is within the prescribed range once more. Other pain medications do not appear to satisfy the arthritis pain receptors and control the level of pain. Two months ago I had a standing order blood work done and the doctor's office called and told me my kidneys were failing and to go off my nabumetone (relafin) right away and I had to go to a nephrologist after having an ultra sound of my kidneys and more blood work. I went to the nephrologist yesterday (a wonderful doctor!!) and he took the time to explain everything to me. I had been off the nabumetone for two months and my creatine levels came down a little to .9 but the doctor told me not to take any Nsaids because they can cause kidney problems but will have to have more blood work done in a couple of months to keep an eye on it. Scary! My creatinine serum levels is 1.17 mg/ DL. My son is 12, his creatinine is 65 and urate is 41. My creatine level is 1.78. I am a diabetic patient taking insulin daily. I am 65. I am a male 59 year old. My creatine is 1.4, urea 15, sugar 118 fasting, total cholesterol 207 and uric acid 6.8. I am 79 years old and my creatinine levels are at about 910 to 950. I am now on dialysis for the last 4 years. My mother has recently been tested for creatinine, her level of the same test is 4.58 mg/dl although normal range for creatinine is 0.5 to 0.9. I am wondering why I have to have urine test for creatinine every 3 months. My creatinine level is 7 and I don't know to cure it. I had blood work done and my creatinine level was 0.46, which is low. My spot Urine microalbumin is 684, creatinine in urine is 62.16, and albumin creatinine ratio is 1100.39. My creatinine levels are at 5.2. My creatinine has gone up from 1.4 in June 2015 to 1.46 in January 2016 and now it is 1.56. Creatinine level result was 10.60. I had no dialysis, it was solved with medicines. I just had CT Scans and then an MRI and contrast dye to eyeball my brain. I had lab work prior to the MRI and my creatinine was 0.70 (0.67-1.17 mg/dl) (kidney function). Yesterday I went to see the eye, nose and throat specialist because I'm always choking. Well anyway he sent me for a creatinine blood test and I don't know why. My health care professional wanted to check my creatinine levels because they were higher than the last time. I am a diabetic and BP (blood pressure) patient. I have been keeping my cholesterol well within limits taking medicines. I take medicines for diabetes and BP. My creatinine level is now 1.6 as against 1.3 I had 3 months back. I am a Female 43, I just got my Blood test back and my Creatinine level was 0.54 and my Hemoglobin was 10.2,Hematocrit was 33.1 and MCH was 25.6 and MCHC was 30.8 the paper said they were all low should i be concerned? My urea was normal, and my creatinine was 1.1 (normal range shown was 0.5-0.8). Since I have high blood pressure and was on medication (Diovan), it went up considerably two weeks ago – 160/110 – so I doubled the dose. My doctor said that after blood test I need to get abdominal scan. I'm still waiting for insurance approval. My son is 5 years old, and has creatinine as low as 37. The doctor says its fine, but I don't think so. I need the help of another doctor. I donated a kidney to my twin brother almost 3 years ago. I make it a point to have kidney function tested at least every 6-9 mos. on my most recent renal panel, the numbers for creatinine, serum for slightly elevated. It was 1.11. My physician referred me to a specialist for further tests. I'm really worried, because my remaining kidney also doesn't seem to be filtering as it should. The doctor said normal is 56, and my test show 59. Just wondering if this is something of concern, or if it's just because I have only one kidney. My previous labs have never shown any issues, so now that they did; it's a concern to me. Today, my doctor reported that my count was 4+. He said I should be ready for dialysis. I have lupus nephritis, and I just had my bi-annual checkup. My creatinine is 1.8, and my doctor is thrilled. I have lost 30 pounds in nine months, and I have been exercising regularly. I am totally free of any lupus symptoms, and even my hair has grown back! I feel great! My creatinine has been slightly above normal now for 6 mos. I also had significant SOB, which the doctors contributed to asthma, and severe edema in BLE, hands, face and under eyes. My sister had a kidney tumor and is now functioning with one kidney and has diabetes. The doctors say I am pre-diabetic also and am controlling that via diet. All these symptoms together over a relevant period of time lead to glomular nephritis, not good. I go for renal vascular Doppler studies tomorrow. Please pray for me. I just had an ER visit due to a fainting spell thought to be caused by heat exhaustion. While the hospital ran blood work they found my creatinine level to be 1.99 and the doctor became concerned. Especially since I have been having several if these episodes lately! I was told to have another blood test next day (today). Just wondering what this level could mean and can it happen just because of dehydration? I have also been having major nausea and severe itching. As a result of a blood test, my Doctor advised the reading is 1.7, where as a normal reading would more likely be 2.0. He said it is not a cause for great concern, but I should monitor the level every six months. Whilst I understand what he said, I cannot find any indicators of the numbers he is quoting. My creatinine level has risen in last 6 months from 1.3 to 1.6 nd bun level from 33.0 to 42.8. I am 68 year old male with heart failure. I have just had a blood test, previous creatinine levels have been 140-150 the most recent test gave a level of 169 I have been taking double the amount of furosomide for the last couple of weeks for breathing problems which I associated with water retention The G.P. has reduced the amount of furosomide by half to 40mg. I will have another blood test done shortly and have been told that the reason for the increased level is due to the heart and the kidneys fighting to balance out my system. I'm female, with a creatinine level of 1.1. I'm severely dehydrated, and have started drinking plenty of water. I have some cramps in my legs. My energy level is low, there is some ringing in my ears at times, and I have a salty taste in my mouth. I just started taking magnesium for the cramps, but have no idea if drinking more water and taking magnesium will relieve these symptoms. I just went to doctor this week and was just called and told that my creatanine level was high. I was not told numbers (said they could not give out numbers). They told me not to take any pain medications and if needed only take a Tylenol about once a week. I am very concerned about this because I have never had any problems and I am very worried about kidney failure, etc. First Creatinine level was 1.05 three months ago. I had been taking Mobic for a long time. Second creatinine blood levels 1.22. 5 days ago. Advised not to take any analgesic except Tylenol. No problems with creatinine levels ever. Last medication added was Solodyn 65 mg for Adult Acne. I just had a blood test done and my Creatinine Ratio is 31 and flagged as HIGH. The normal levels in this report are 11 - 26. My Doctor did not say anyhting about this but I had requested a copy of the Lab report for my records and this is how I found out. My doctor has informed me that my creatinine blood levels are abnormally high and have been high for some time. However I have constantly stayed at this high level for more than 3 years. They have no peaks and stay high. I'm 57, male, have diabetics and cholesterol for the past 7 years. I've been taking 200mg cap of FENOFIBRATE for the past 5 months to lower my LDC-L. In the recent blood test, it lowered my LDC-L from 3.04 to 2.39 mmol/L but my Creatinine level increases from 115 umoI/L to 130. Creatinine level is 118. I jogged 140 miles in 30 days before the test. I donated a kidney to a friend in 8/09. Since then, my creatinine has ranged from 1.3 to 1.9 at my annual visit. Meanwhile, my recipient's CR has been steady at 1.2. I regularly workout with weights and do intense spin classes. The nephrologists believed the elevated CR was due to these factors. He ordered a Glo-Fil test as a more accurate measure of my kidney's function. The good news is that my result was 66, down from 90 prior to nephrectomy, but normal for someone of my size and age with one kidney. My advice to everyone is to drink lots of water. It's the best thing you can do for kidney health. At age 42 I have lifted weights since the age of 15, and have eaten high levels of protein for muscle synthesis and reduced catabolism. I think these factors are making the blood creatine high. I am a 25 years old woman and I am 20 weeks pregnant. I really want this baby however my creatinine is 502 at present. The only option given to me is a TOP (Termination of Pregnancy). I need some advice regarding my option as I am very young and might opt for early transplant instead of dialysis after. While being tested as a possible kidney donor, I was told my GFR was 67 and my kidneys were not functioning properly. After consulting with a nephrologist and urologist, I have been told there is nothing wrong with my kidneys and I am a borderline candidate to be a donor with less than 1% chance of ever having kidney problems until I'm in my late 90s. Needless to say, the first diagnosis caused immeasurable stress to both me and the potential kidney recipient. All of this occurred because the GFR was not properly done. Please seek additional consultations if you receive an erroneous diagnosis like I did. You will at least have peace of mind knowing whether or not the first diagnosis was correct. I've had two blood tests in the last six weeks, the 2nd for a second opinion (different lab, different Dr.). First test (non-fasting) returned 1.20 mg/dL creatinine, serum (and 45 mL eGFR)which was noted as abnormal, possible CKD. The second (fasting) returned 1.11 mg/dL creatinine (and 49 mL eGFR). That lab said up to 1.18 mL/dL was OK; only the eGFR was noted as out of range. The second doctor said the overall results were normal. I'm not convinced. Something about all of this does not ring true. As far as I know, I've never had either one out of range before. I had a physical done and my creatine level was more than normal. I workout quite a bit and although still not in the best of shape, my doctor said it was due to the massive amounts of muscle I have for a woman. I'm concerned though of course as I have low IGA and my bone marrow produces more of 1 white blood cell than another. I am leaning towards having more testing done and hoping to find out that the doctor is right. My Father recently consulted doctor. He initially had problems like urine passes every now and then and fever. He gets fever in the early night and cures by mid night. Doctors are unable to conclude as one doc says something to with bladder and other says something to do with kidney, but anyhow he had a biopsy and report says that the level of creatinine is more than normal. A combination of a statin drug to reduce cholesterol and diltiazem (Cartia XT) for hyptertension caused a rise in my creatinine levels. 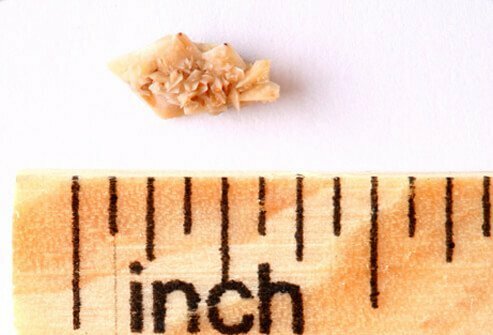 Since I have polycystic kidney disease (PKD) and the level of creatinine in the blood is a major indicator of kidney function, this was cause for concern. Check with your pharmacist for possible drug interactions every time you get a new prescription. I recently had blood tests done and my creatinine level is above the normal, is at 95 umol/L. As it happens it's not the first time I have results of previous tests raised above the normal and, to my surprise my GP tells me it's of no importance! I am not so sure about it and at this point I am concerned! My gut feeling tells I should. My creatine was off. I took another test yesterday. I looked up the results and it was off again. I was on Atenolol and lisiprin for blood pressure. The doc took me off of those as my BP was dropping fast. I am now awaiting word from my doc. I am very anemic. I've already seen a hematologist and he talked about bone marrow test. Ugh I'm already in a kettle of fish with Ataxia, Peripheral Neuropathy caused by Wernicke's. I don't need any more trouble.